Men's Sport Shoes Just $39.99! Down From $100! 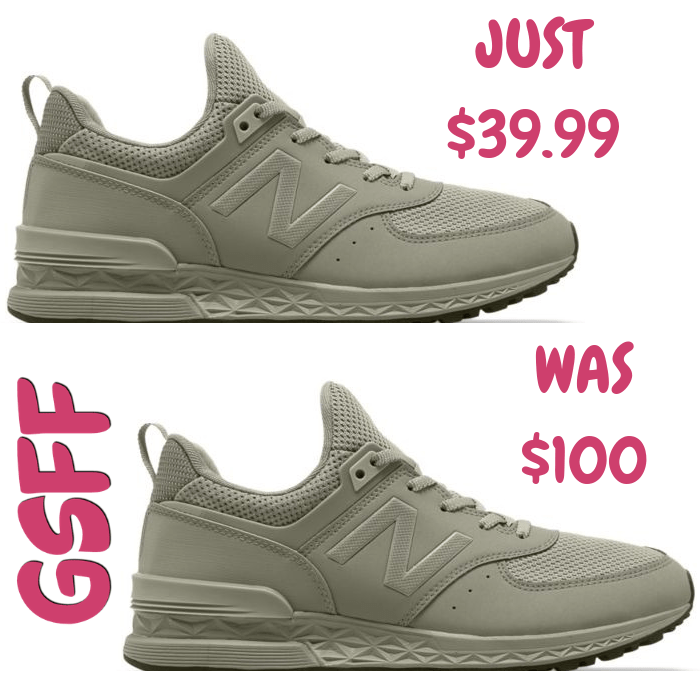 You are here: Home / Great Deals / Men’s Sport Shoes Just $39.99! Down From $100! Men’s Sport Shoes Just $39.99! Down From $100! Joe’s New Balance Outlet is currently offering this Men’s Sport Shoes for just $39.99 down fro $99.99 PLUS $1 shipping when you use promo code DOLLARSHIP at checkout! Inspired by an icon, created for a new generation. The 574 Sport remixes our original New Balance 574 with a sleek synthetic/mesh upper and mid-cut bootie construction. And for plush comfort and a sleek look, this men’s sneaker features our signature Fresh Foam cushioning. Move your look forward with the 574S sneaker for men.